The new UCI World Cup series began in America last month – with a dry race and a muddy one – and we bring you the first in a series of photo galleries. Here's our Waterloo World Cup gallery from US photographer Jeff Corcoran. THE UCI World Cup kicked off with two rounds in the United States for the third successive season last month. 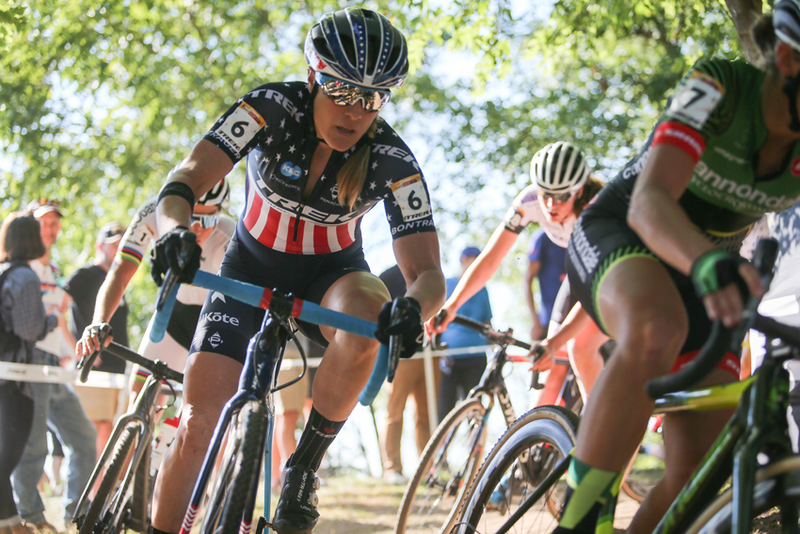 The Trek Bicycle headquarters hosted round one in Waterloo, Wisconsin before racing moved to Iowa City last weekend. Telenet-Fidea's Toon Aerts beat World Champion Wout van Aert into second place in both races whilst Marianne Vos and Kaitlin Keough scored one win each in the women's races. The major Belgian teams – which make up a sizeable percentage of most European World Cup races – and riders still have concerns about the cost of traveling to rounds outside Europe. Wout van Aert wrote about the issues which the UCI have seemingly still to smooth out in his new regular column on WielerFlits.nl. Although Van Aert remains in favour of expanding cyclocross, he is also slightly critical of the UCI who could help more with the travel and logistics involved in the season start in America. His full column is here.